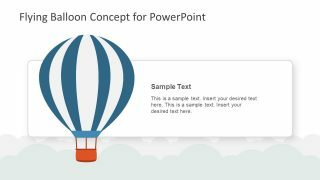 The Flying Balloon Concept PowerPoint Template has the generic presentation slides usable explain industry wide topics. 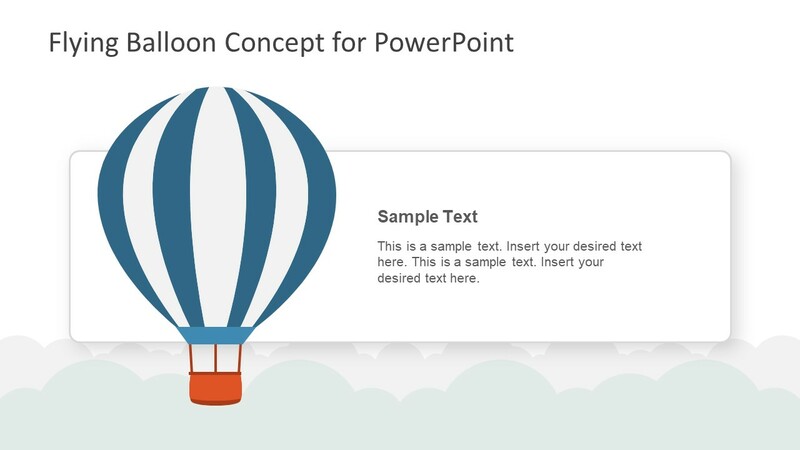 The flying air balloon concept PowerPoint is a travelling, supports and leisure template. Therefore, the presenter can use these graphics to illustrate the experience about travelling. The exceptional graphics of this flying balloon concept are the flat vector PowerPoint shapes. These are the high-quality graphics, hence the resizing the adding effects to the images does not affect the resolution. The flying balloon template is also an incredible source to display business metaphors like, dreaming big, reaching the top etc. 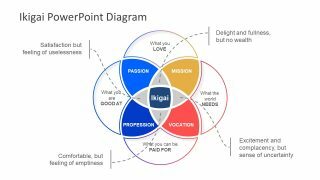 Therefore, it is also an adventurous PowerPoint, not only as a sport but also for organizational motivation. Further, it portrays the retro design of flying balloon traveling in the 20th century. 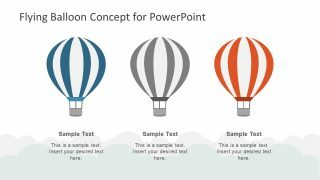 The brilliant illustration of Flying Balloon Concept PowerPoint Template illustrates the view of sky and clouds. The first hot air balloon shape is presentable as the title slide. 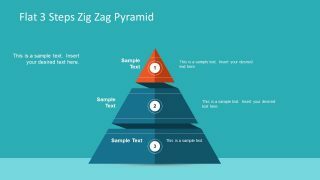 Whereas, the template of three assorting color balloons can depict the 3-step diagram PowerPoint. Similarly, the last slide shows a woman using WiFi on her phone, as portray by the symbol. This depicts the connectivity of phone with the person inside the flying balloon. 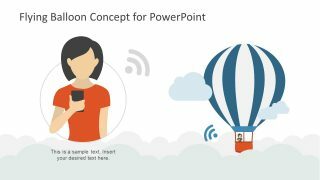 The PowerPoint template of hot air balloon is exciting tool to invite team and employees to the festival and carnival etc. For example, add the date in title template and type of entertainments available in three segment slides. The stunning PowerPoint of flying balloon concept an appropriate design for formal and informal presentations. Moreover, it can demonstrate the summer, summer camps and summer entertainment for schools. Additionally, the editable template of flying balloon assists users to move and rotate the shapes and icons. 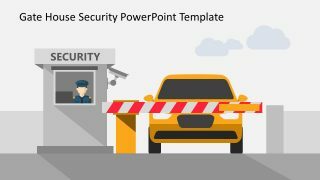 Also, change the colors, copy the objects and add to the other slides of PowerPoint as necessary. 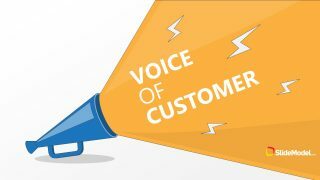 The flying balloon concept can accommodate all kind of presentation topics to match the images of these slides. The SlideModel has another stunning PowerPoint of hot-air balloon shapes in different amounts.